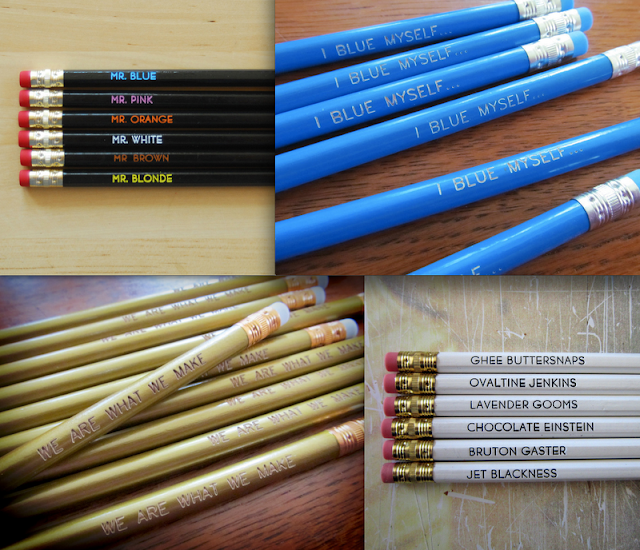 Maybe it's just the office supply geek in me, but I love pencils. Make those pencils fun (with awesome references) and I'm completely hooked! I gifted each of the pencil sets above for Christmas and I think they were pretty well-received. My favorite was Matt's Reservoir Dogs set. We are always on the look out for games we can play as a family. 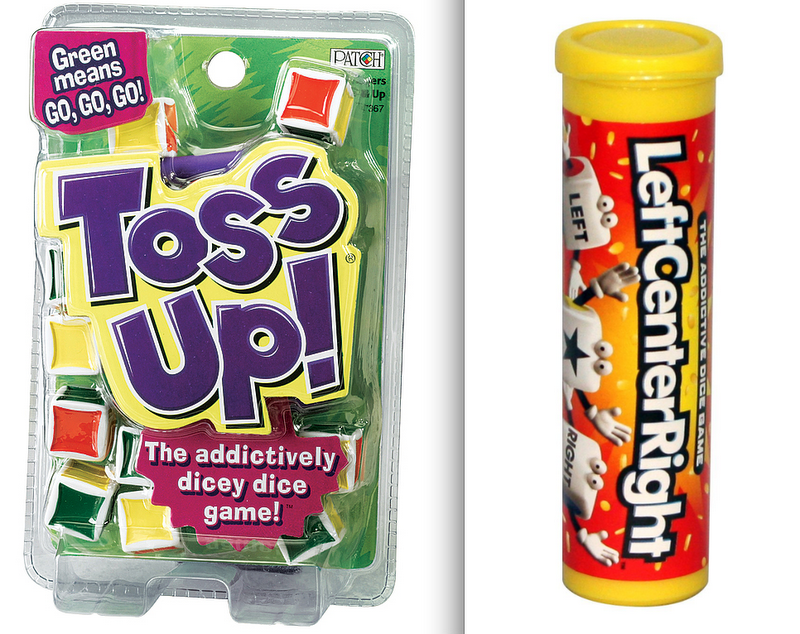 Usually that means that each of the adults need to pair up with a girl, but we received these games at Christmas and they are the ultimate family games. Olivia (who is 2 and a half) can play with just a little help from us, but is her own team and does great. 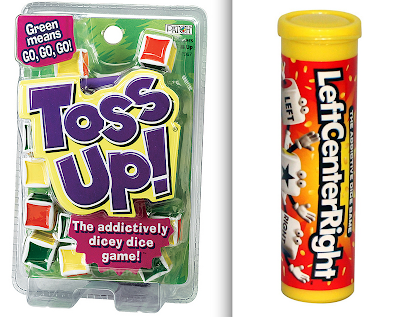 These are simple games, but interesting enough to keep the kids attention and, best of all, really portable (and compact) making them nice travel or "restaurant waiting time" games. 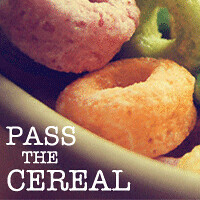 Toss Up reminds me of Farkle, but is color-based so minimal addition is needed (and adults can easily advise). Left Center Right reminds us of a game we used to play with Matt's Grandma (3 quarters each and dice or cards were involved). Anyone know of that game? This house is full of book-lovers and so it goes without saying that the number one gifted item in this house was books...way too many to count or include all of our favorites here. I thought I would include a couple intriguing titles. Animal pics and facts, a story of a fortune-telling origami yoda, a gazillion facts about the world around us for Jack to memorize and a book by a very funny lady (one whose name Matt pretended not to recognize when I said she wrote The Office Christmas episode even though he had already purchased her book for me). 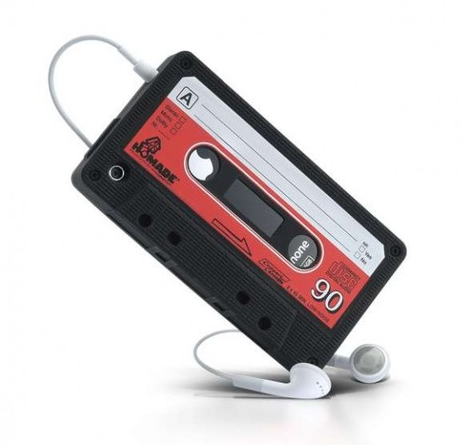 But my favorite gift was my new iphone cassette tape cover. LOVE IT! I wonder if Matt has been checking out my i love the 80s Pinterest board? What were your favorite gifts this December?